This is the one that we use when we go prospecting. 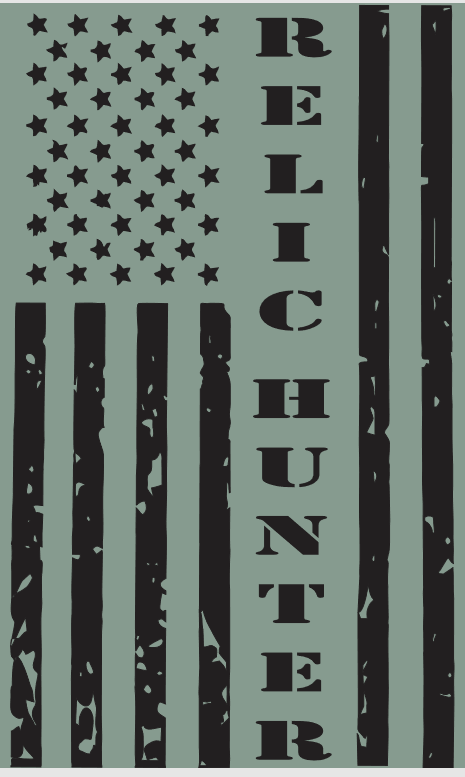 This shirt sports American Flag colors along with our motto of "Search - Recovery - Preservation". We use this shirt when we ask for permissions as well as wear it to the local club meetings. 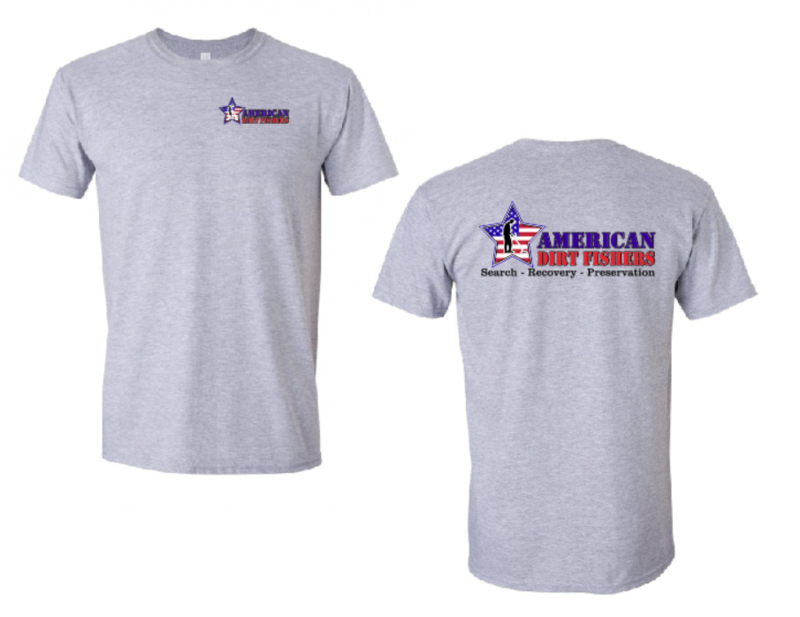 We like it on the gray shirt, but you can choose any color you like. This shirt is available in your choice of shirt colors and in sizes from Youth Small - Adult 5XL.